The beautiful red bell is a delightful cocktail made at Manifesto, a modern day speakeasy in Kansas City, Missouri. I first experienced it in February, when I was in town to visit my friend Jordan and her husband. She had talked up Manifesto and her favorite drink, the beautiful red bell, over the weekend. Curiosity took over and I convinced the couple that we should cap off our already fantastic weekend with fancy cocktails. We texted the owner for a reservation, as is custom, and ran through the cold winter air to an unmarked door in a back alley. A dapper bartender walked us downstairs into a candlelit saloon. We settled into a deep-backed, round booth, and examined their menu of bespoke cocktails. Jordan picked her favorite, and her husband and I ordered unusual whiskey based drinks. I watched the bartender as he deftly mixed liquors and shook them up with panache. Since I detest gin and tonics, I was a little wary when Jordan handed me her gin-based drink to try, but I fell in love at first sip. The muddled bell peppers and basil temper the pine taste of gin. It’s strong but not overpowering, naturally slightly sweet, and refreshingly light. The former bartender in me vowed to recreate the eleven dollar drink at home. As delightful as the red bell was in that cozy basement in February, I thought it would be more appropriate for summertime, when basil and bell peppers are in season. Finally, the time has come! The beautiful red bell was absolutely worth the wait. While I’m not entirely sure this is exactly the same formula used at Manifesto, I can tell you it’s awfully close. I had so much fun making and photographing (and drinking!) this beautiful red bell that I’m considering a weekly summer cocktail series for the blog. 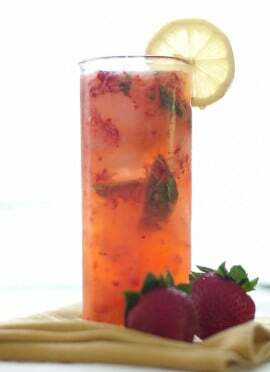 I’ll feature refreshing drinks composed of basic liquors and little to no liqueurs, flavored with fresh seasonal produce. Happy hour, anyone? 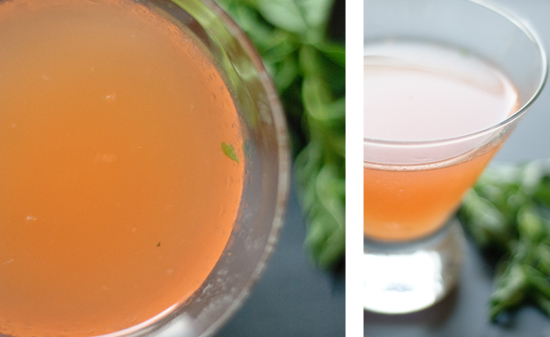 A refreshing summer cocktail made with red bell pepper, basil, gin and lime. This recipe was inspired by Manifesto in Kansas City, MO. 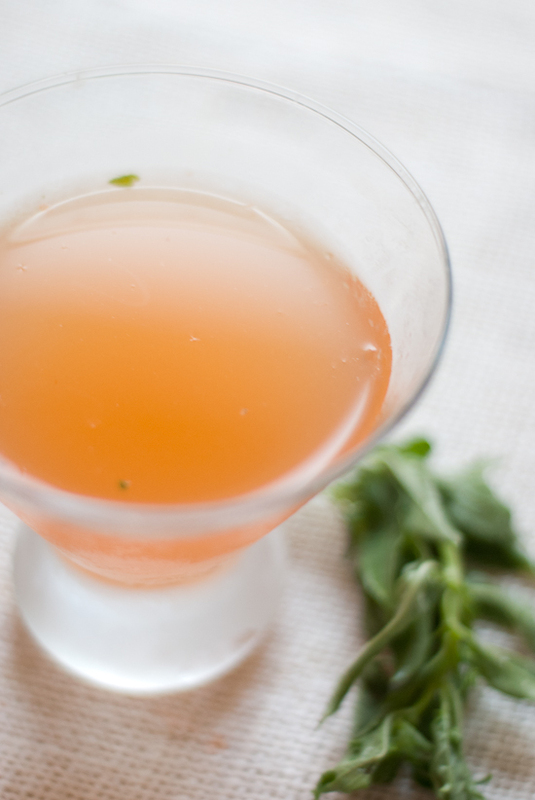 In a cocktail shaker, combine red pepper, basil and lime juice. Muddle thoroughly, until the red pepper is thoroughly smashed. It shouldn’t have any crunch left to it. Add gin and lots of ice. Put on the lid and shake like crazy. Fall in love with the beautiful red bell. Oh man. I’m no big fan of gin myself, but I do LOVE bell peppers. Going to have to try this one soon! Oh I know. It’s so hard. Update! I tried making it with vodka. It was good. Not as good as gin, though. Try it! P.s. I’ve got a couple of cucumber recipes up my sleeve for you! Great blog! I have ventured into Manifesto and it is such a hip little hideaway!!! This is a great (and easy) recipe. As a craft mixologist, may I add a few subtle suggestions to this process…just a few ideas to accentuate this cocktail experience. 1. Always tear the Basil before muddling to help secrete the oil of the basil leaves. 2. Unless you are using the bell pepper as garnish (always dress your drink), cube it to also help secrete the juices of the bell pepper. Kate, I am a Hendricks gin man myself (so wonderfully smooth), but I would bet that Tanqueray Rangpur (which is lime infused) would work really well with this cocktail. Anyway, enjoy your cocktail! If you need a great recipe for a cucumber-basil martini, just let me know. It is incredibly refreshing! Thank you for our very helpful tips and thoughtful comments, Vince! I really enjoy muddling fresh herbs in cocktails so your tips are much appreciated. 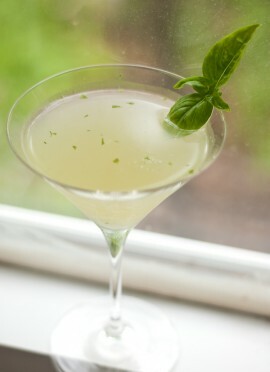 I would love to try out your cucumber basil martini next summer! Kate-had the same experience at Manifesto this May and was blown away by this drink. Per their menu now, it states they use mint rather than basil. Have you tried making this with mint at all? Also, I think I remember the bell pepper being roasted to some degree…Think I have to try this both ways now! Mint sounds interesting! I’m growing some on my porch now, I’ll have to give it a try. I think I tried it once with jarred roasted red peppers and preferred it with raw, but I’m sure freshly roasted would be a different story. 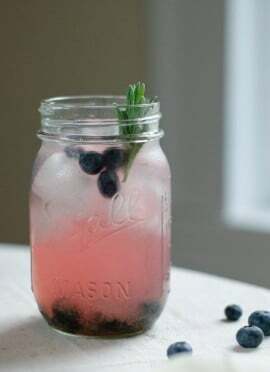 Every time we make this cocktail it is a hit. It tastes like spring. I once accidentally used rum and it was still great. Jake, glad to hear it! I’m intrigued by the rum idea. A friend of mine referred me to this blog when I was telling him about having the Beautiful Red Bell made Ryan Mabee (I think that’s how he spells his name) before he opened Manifesto. He was a sort of visiting bartender at the American and he made me one of these on one of the hottest days of that year in Kansas City. I loved it so much I (nicely) demanded the recipe, which he generously shared. Yours is really close and congratulations for figuring it out. Here it is as he gave it to me. I can’t wait to do a side-by-side with yours this summer. 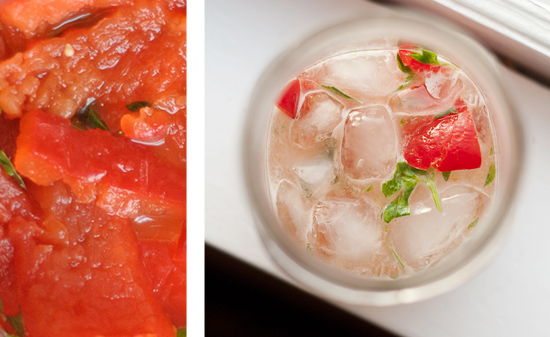 In a mixing glass, muddle the red bell pepper in the simple syrup and the lime juice. Add mint, gin and ice. Shake vigorously (mine was so well-shaken that there were bits of mint floating in the glass. I wonder if he might have also muddled the mint, in fact, but that’s not what he wrote down.). 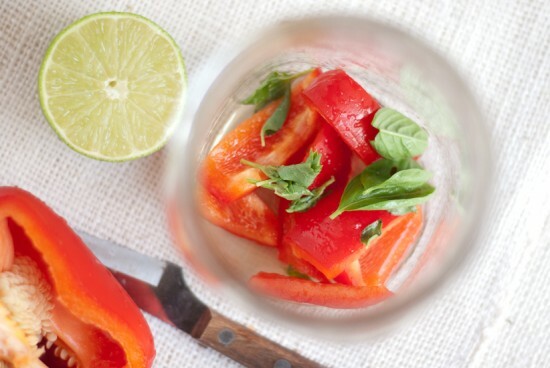 Strain into a chilled martini glass and garnish with a slice of red bell pepper. Thanks, Gavin! I am giving myself a little pat on the back for getting so close to Ryan’s original recipe. :) Can’t wait to have another this summer! Well, I think my version is pretty close! Just went to Manifesto the other day!